You are here: Home / Car Accident / How Many Pedestrians are Killed and Injured Each Year? Every year, around 4,000 pedestrians are killed in motor vehicle accidents in the United States, and another 70,000 are injured. The National Highway Traffic Safety Administration (NHTSA) defines a pedestrian victim as anyone on foot, running, jogging, walking, sitting, lying down or hiking who is involved in a motor vehicle accident. Every year, around 4,000 pedestrians are killed in motor vehicle accidents in the United States, and another 70,000 are injured. It is needless to say that such accidents can be physically and emotionally devastating. The effects of the injuries can be severe and long-lasting. In fact, the injuries do not just affect the individual, but also their families and communities. Unfortunately, pedestrian accidents are a far too common occurrence, and they occur everywhere and can affect anyone. Statistics show that one car accident related to a pedestrian fatality occurs every two hours. Furthermore, every 8 minutes a pedestrian injury occurs. The Hoffmann Law Firm, L.L.C., believes that education is one of the most effective ways to prevent such accidents. With better education, pedestrians can keep themselves safe and protect their rights in the event of an accident. 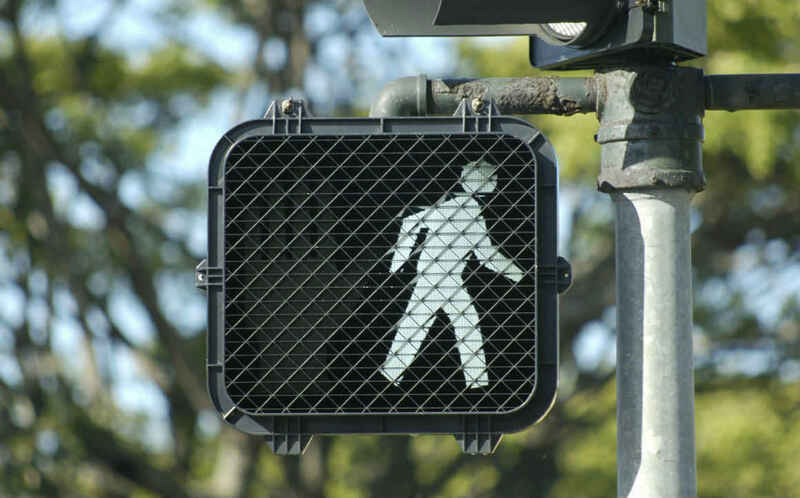 In this post, we will discuss some key facts related to pedestrian accidents. The biggest difference between a car accident and a pedestrian accident is that the person who is hit by a vehicle has absolutely no protection against the wreck. There are no airbags, seat belts or even steel frames to take the impact of the crash. This leaves the pedestrian susceptible to serious injuries including internal injuries and even paralysis. Such severe injuries often have lifelong implications, so it is important to seek compensation for both present and future medical and other related expenses. Who is at the Highest Risk of Such Accidents? Children and older adults are at the highest risk when it comes to pedestrian-car accidents. According to the National Highway Traffic Safety Administration, about 1 in 5 children killed in motor vehicle accidents in the age group of 5-9 years were pedestrians. Also, 20% of all pedestrian victims are elderly. Living and traveling around in a city such as St. Louis exposes you to the risk of pedestrian-car accidents. The crowded streets and a large number of people increase the likelihood of pedestrian crashes. So, it is extremely important to be alert and careful when driving or walking in the city. Cross the street only when it is permitted and ensure that others follow this rule as well. One major risk factor is alcohol impairment. Although most of us are aware of the dangers of drunk driving and walking, it still goes on unabated. It is important not to drive or even walk under the influence as it can increase your chances of getting involved in an accident. One must remain extra careful at night time. At The Hoffmann Law Firm, L.L.C. our focus is on helping people recover full financial damages for injuries and wrongful deaths caused by pedestrian accidents. Contact us today by calling (314) 361-4242 or fill out our online contact form to schedule a free and private consultation.